ROBOTIX TECHNOLOGIES Comes up with exhaustive training programs on ROBOTICS for the students.These programs are succeed at giving in depth fundamental knowledge and exposing students to practical working environments of the industry. 10:00 Program starts with an inspirational video. 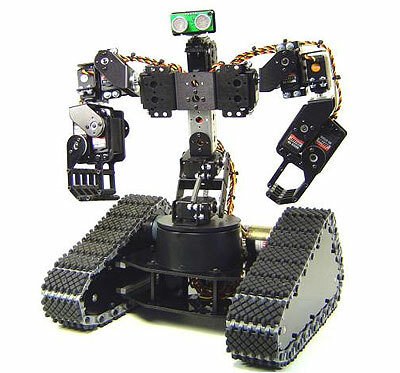 1:30 Video course on robotics from Basics of robotics to design of Humanoids. 2:00 Software Training and Application Oriented programme development. 3:30 Conducting ROBO WRESTLING competitions. COURSE FEE 900 RUPEES ONLY (Workshops will be arranged at college only).